I'm not sure about the phone booth aquarium, but I love the labyrinth tanks and the hanging fish tank although it's small. 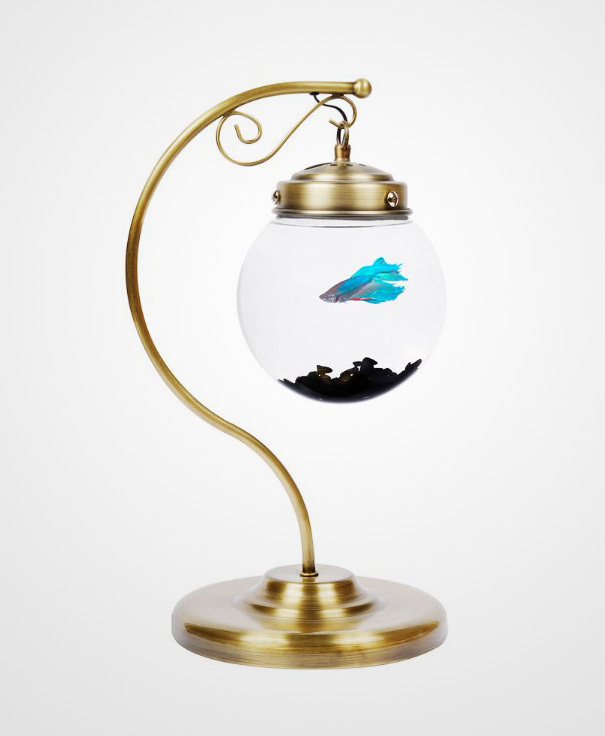 I also love the hanging fish tank, it's elegant! 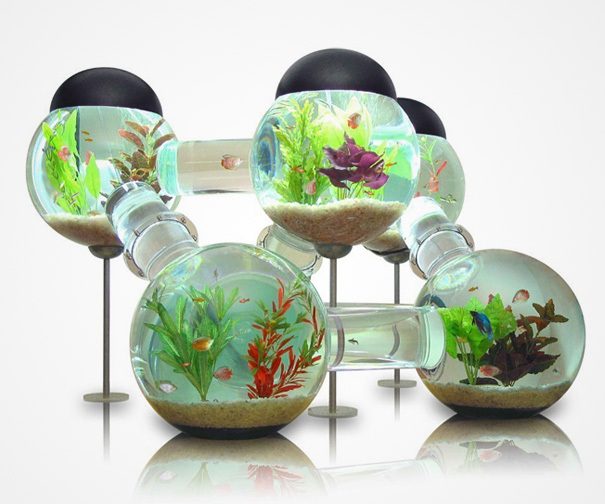 But the duplex aquarium wins for me, it would fit perfectly in my house I love both birds and fish.